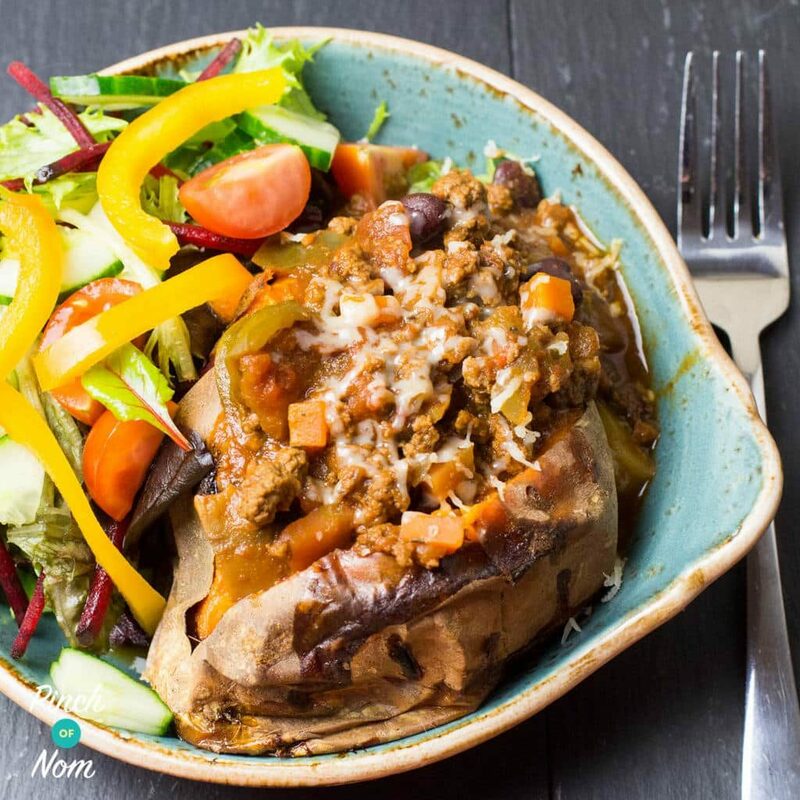 We’re often asked, ‘What can I do with Mince?’ so we thought we would compile our Top Slimming World Mince Recipes in one place. Mince is a really versatile food when you’re on Slimming World. As you probably know, it’s free when you choose 5% fat beef, pork or turkey mince. 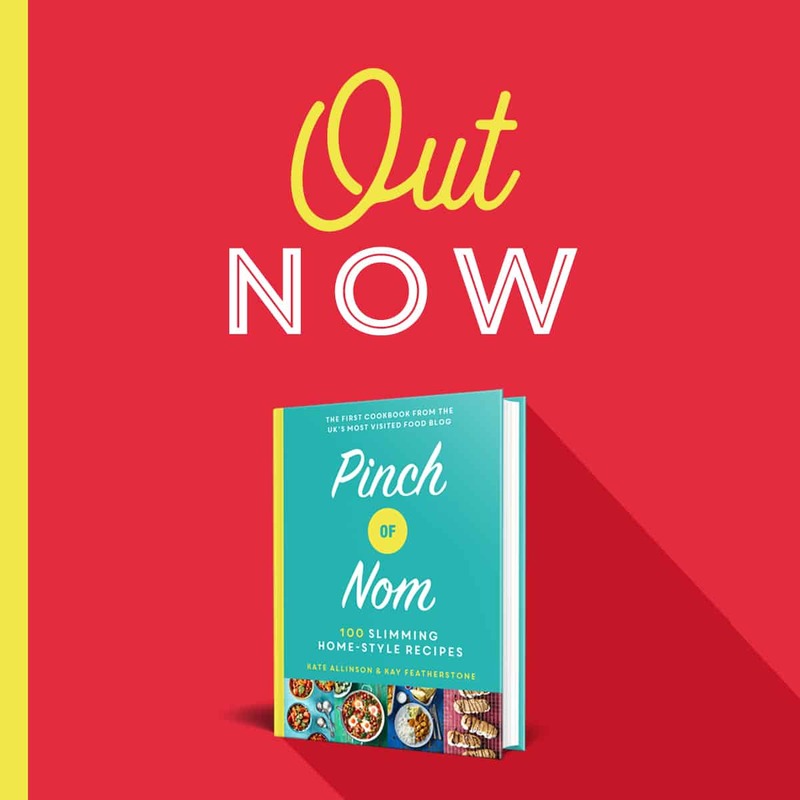 We have a huge selections of family favourites, comfort foods and batch-cooking friendly recipes on the Pinch of Nom website. 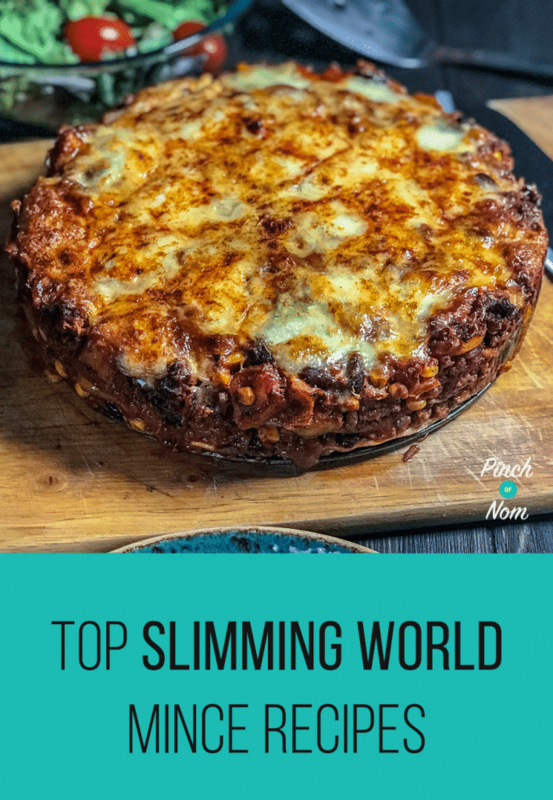 There was no way I could compile a list of Top Slimming World Mince Recipes without including this one! It’s an absolute winner, and a big favourite in our house. 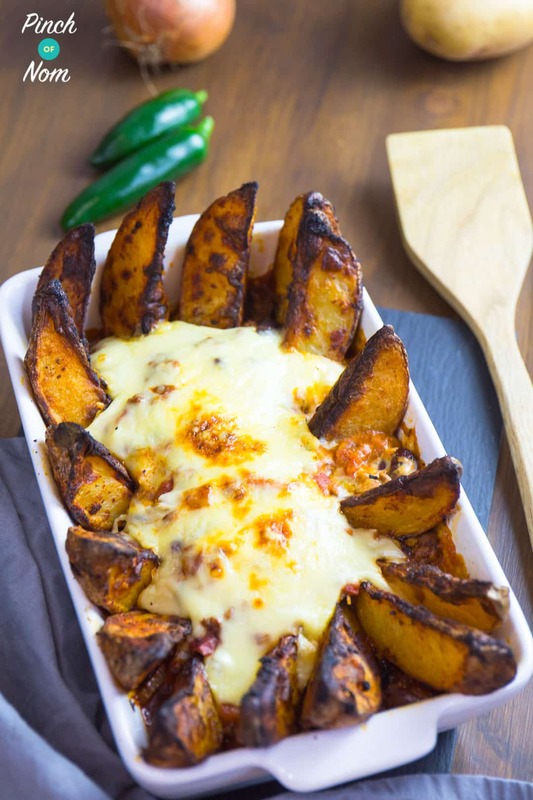 There’s something very decadent about the combination of the warming, spicy chilli, crispy potato wedges and melted cheese! The best bit is, it’s Syn Free when you use your Healthy Extra A choice. 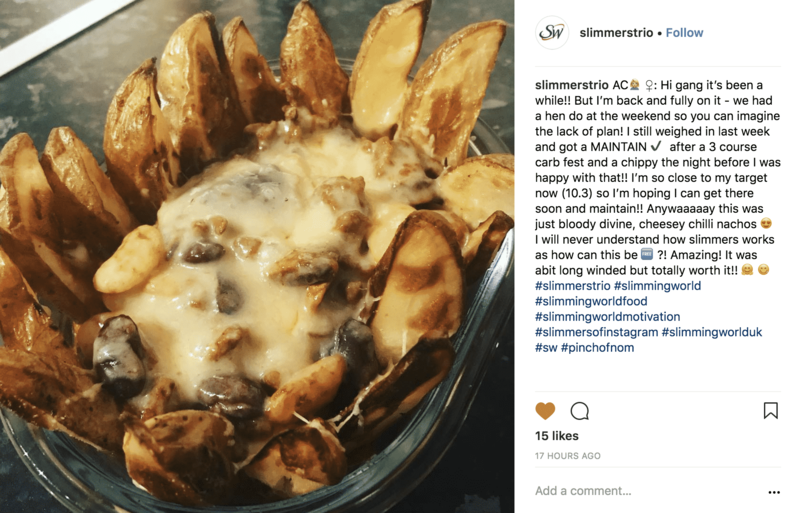 One of our Instagram followers @slimmerstrio made our Syn Free Chilli Cheesy Nachos and loved it! It was created after a chilly football training session with my daughter. We needed something hot, tasty, filling and quick!! These Syn Free Chilli Cheesy Nachos are soooo good! If you haven’t tried them yet, you really should! Do you ever have one of those times when you can’t decide on a chilli or a lasagne? 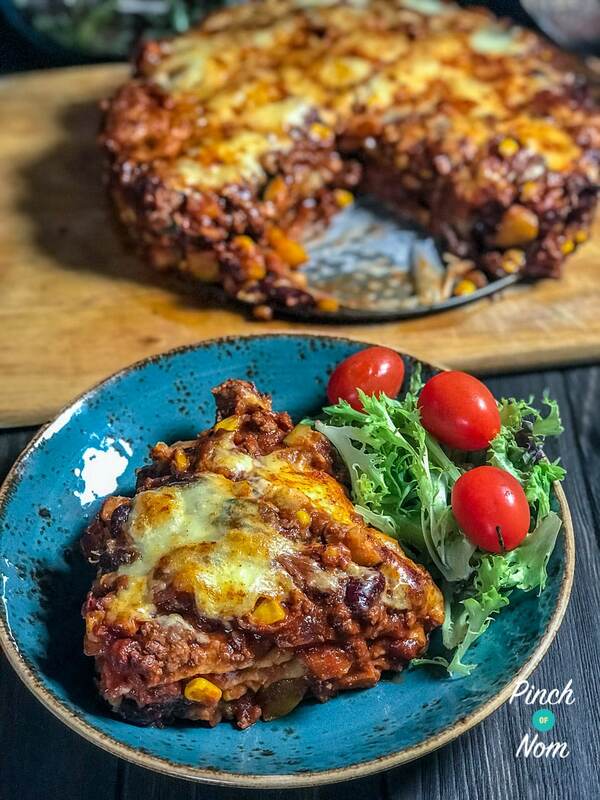 Why not combine the two with our amazing Syn Free Enchilada Lasagne! This is a real crowd pleaser of a recipe, one the whole family will love. Mine gave it a big thumbs up when I made it recently! A combination of lasagne and chilli that is Syn Free, as long as you’re using your HEA and HEB choice. It’s super simple to make, with no fiddly rolling or folding of the wraps, and the best bit is, you can pack it full of speed foods. That’s a winning combination for me. It freezes really well too. 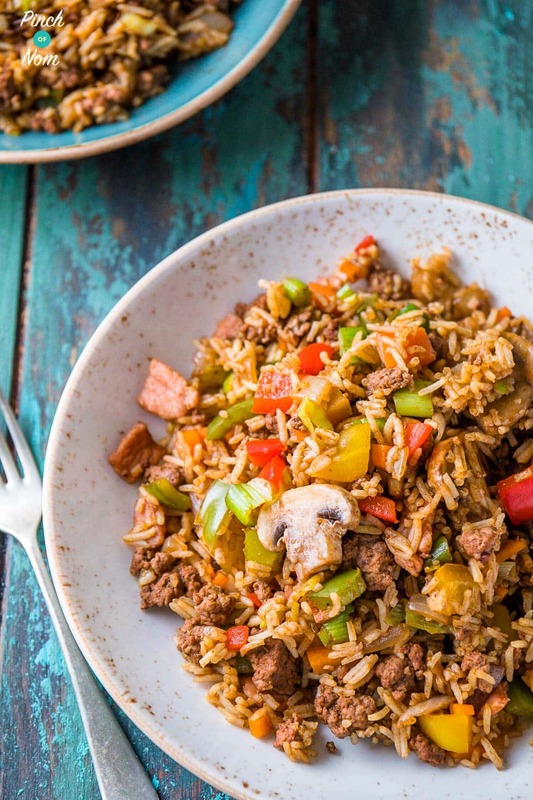 When we first unveiled our original Syn Free Dirty Fried Rice, we almost broke the internet! It was amazingly popular and everyone was making it, trying it, and falling in love with it! Then people started asking if they could use other mince, so we created our Syn Free Cajun Dirty Rice, using 5% beef mince. You can even make this with turkey mince. The possibilities are (almost) endless! Some of the comments about this dish on our Facebook group tell their own story. 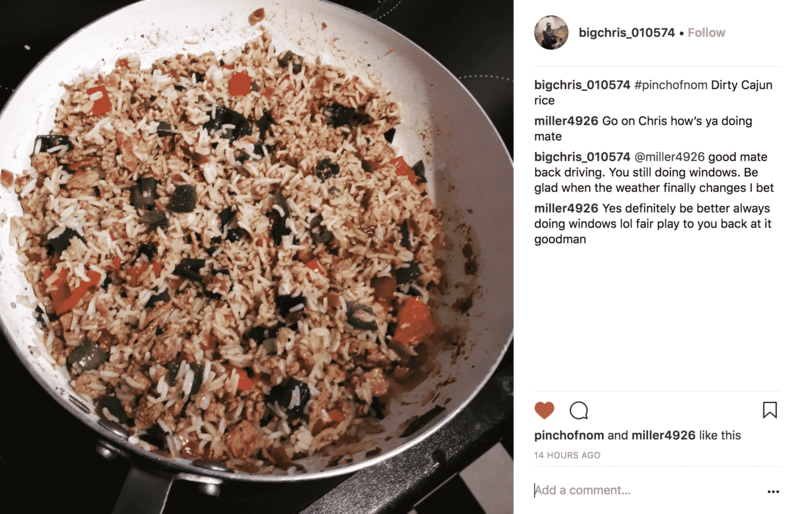 One of our Instagram followers @bigchris_010574 made our Syn Free Cajun Dirty Rice and loved it! 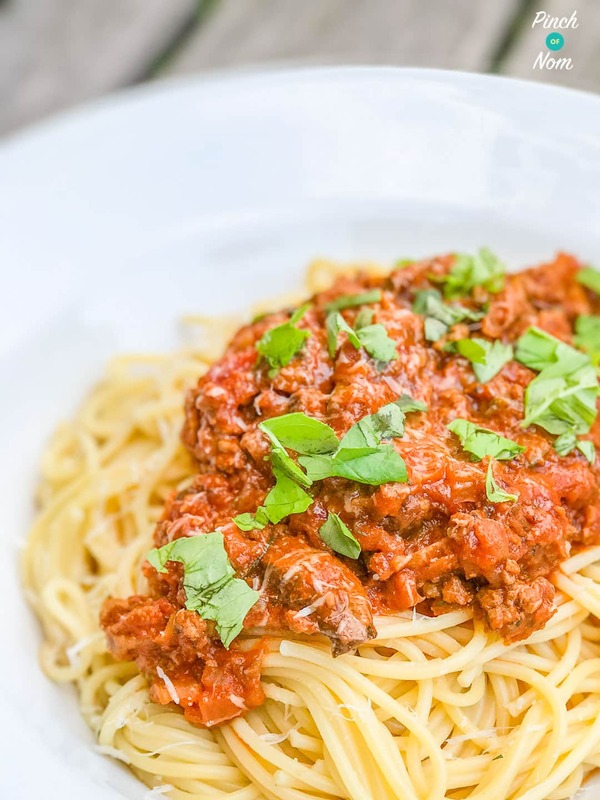 You can’t beat Spaghetti Bolognese when it comes to a classic pasta dish. so obviously we’ve included it in our Top Slimming World Mince Recipes list. Our Syn Free Bolognese is an Italian influenced sauce, that you can pack with Speed foods for a budget-busting Slimming World meal. 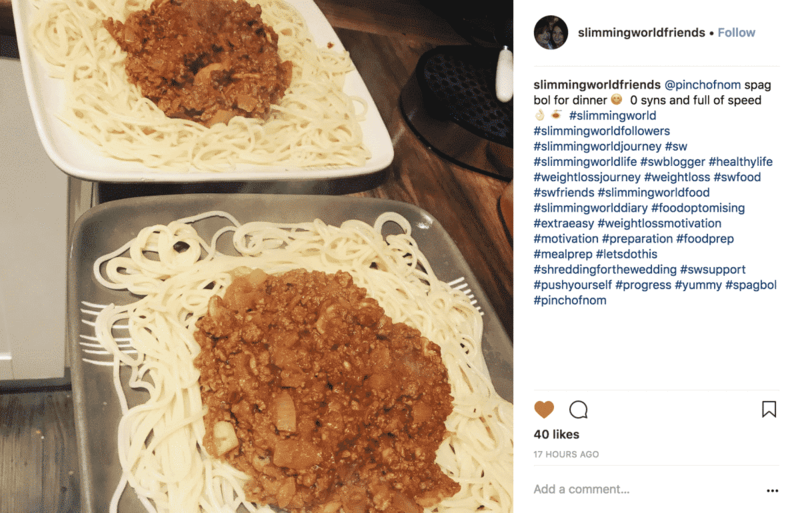 One of our Instagram followers @slimmingworldfriends made our Syn Free Spaghetti Bolognese and loved it! 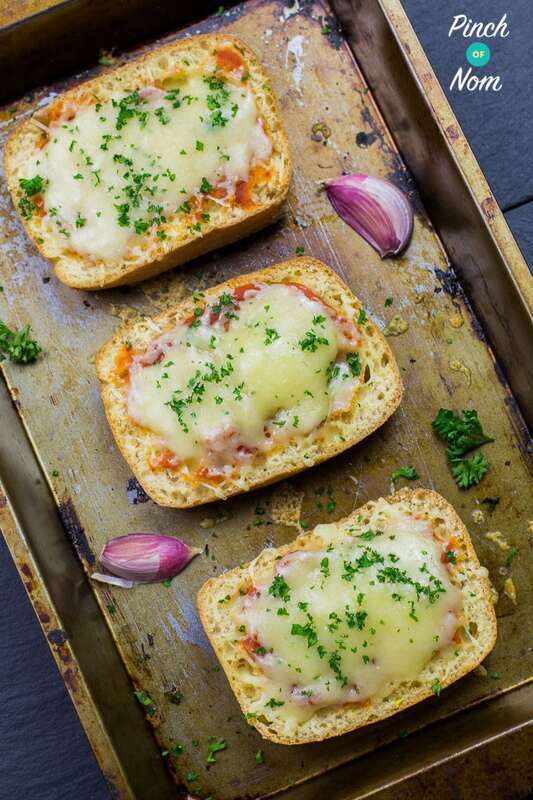 Whenever I make this dish, I save my Healthy Extra B choice too, and make this delicious Syn Free Cheesy Garlic Bread. It’s a match made in heaven! 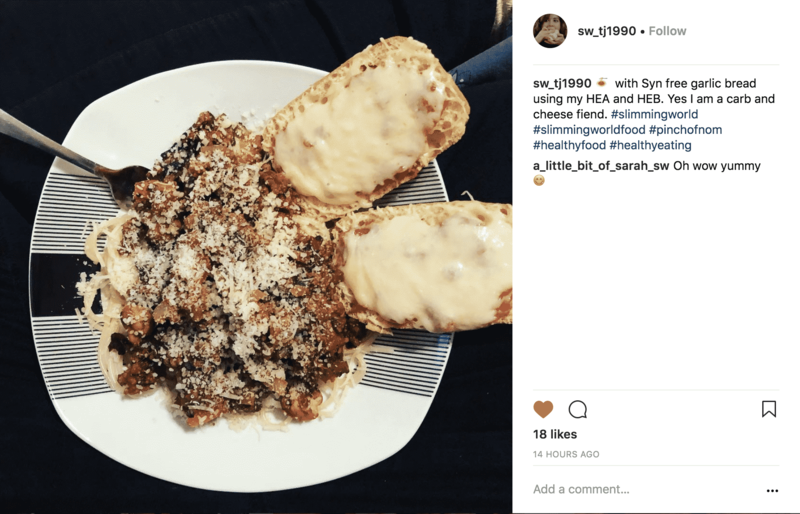 One of our Instagram followers @sw_tj1990 made our Syn Free Cheesy Garlic Bread and loved it! We can’t have a collection of Top Slimming World Mince Recipes without including these Syn Free Sausage Rolls! When we initially published this, it immediately became THE recipe to try! You couldn’t get hold of the Weight Watchers low fat wraps for love nor money. There were parties in supermarket aisles when supplies were found. 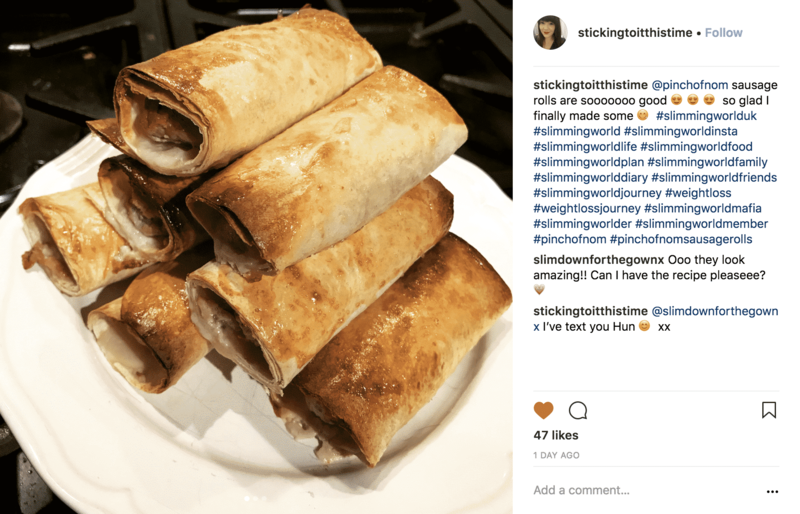 One of our Instagram followers @stickingtoitthistime made our Syn Free Sausage Rolls and loved it! 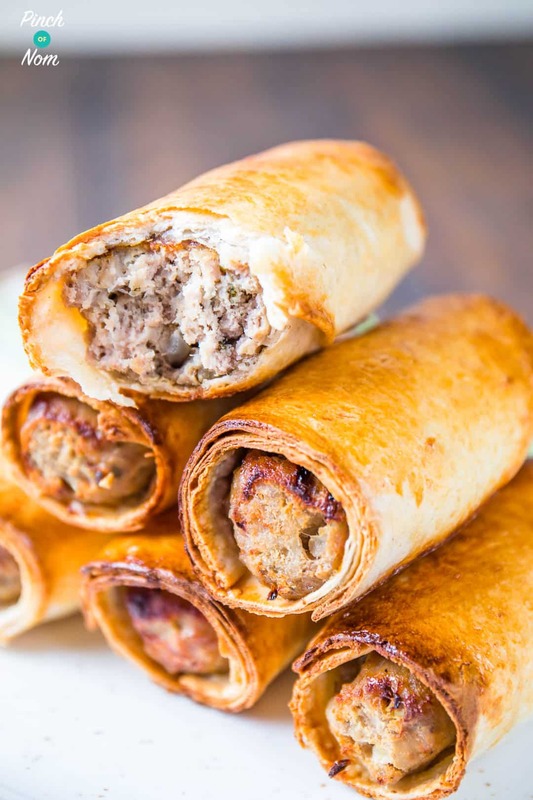 Who needs Greggs when you have these gorgeous, guilt-free Sausage Rolls? None of that greasy, unhealthy pastry here, just your Healthy Extra B choice, some 5% pork mince and plenty of seasoning. If you’re looking for a hearty ‘hug on a plate’, you’ve found it! 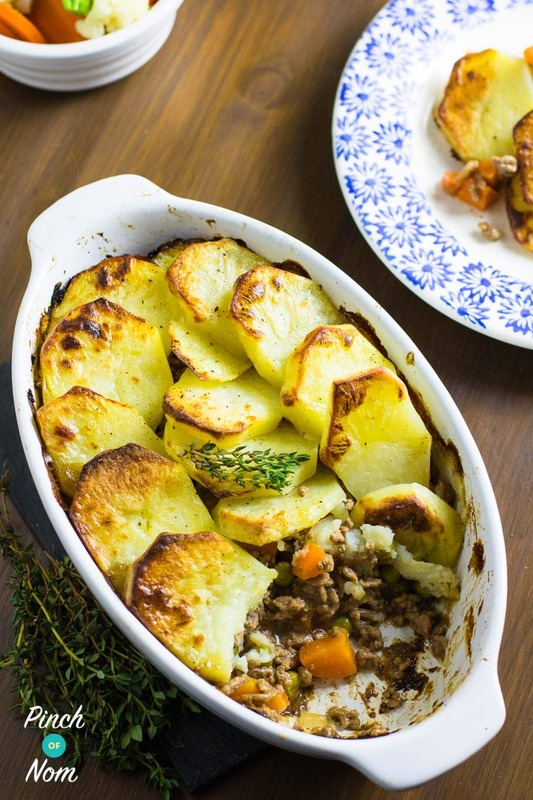 Our Syn Free Minced Beef Hotpot is a satisfying and super tasty meal. It definitely deserves a place in our round up of Top Slimming World Mince Recipes. What could be better than a dishful of rich, savoury mince, sitting under a duvet of crisp, golden brown slices of potato? It makes a great midweek meal, served with a pile of Speed Vegetables to complete a perfectly food optimised plate of food. This Top Slimming World Mince Recipes list wouldn’t be complete without a good Chilli. It’s a traditional, spicy comfort food that’s fab for a quick evening meal and ideal for batch cooking to freeze, too. We have two versions of this recipe on the website. A simple Slow Cooker Syn Free Chilli, or a stove top recipe for Syn Free Chilli. You can make this Syn Free Chilli as hot as you like, or as hot as you dare! You can also use this recipe to make our fab Syn Free Chilli Cheesy Nachos (pictured further up). It’s also packed with Speed Food and protein, so it’ll be fine to eat on an SP day, served with vegetables. There are some days when you just need pasta. 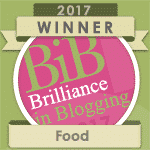 If you fancy a different take on a classic pasta bake, why not try our Syn Free Chilli Pasta Bake? This dish combines two favourite dishes, Chilli and Pasta, so of course we had to add it to our list of Top Slimming World Mince Recipes. It’s a rich, spicy, satisfying meal that is also suitable for freezing, so it’s ideal for batch cooking. 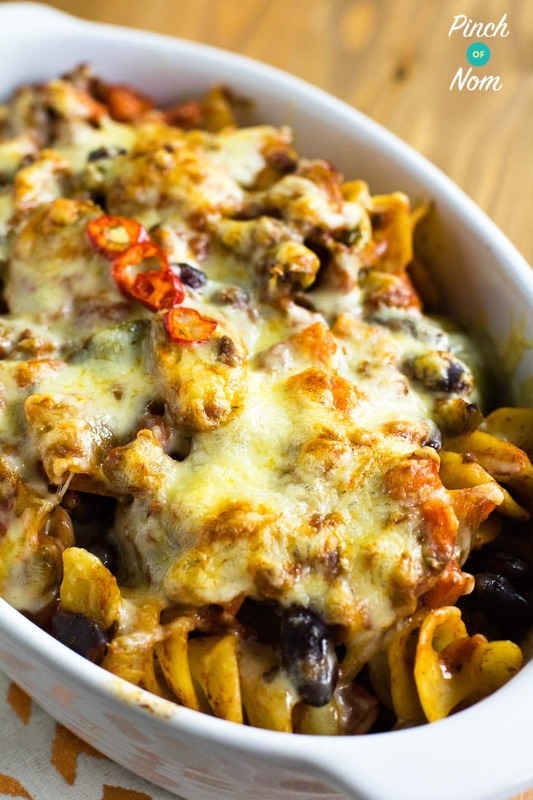 In fact, this Syn Free Chilli Pasta Bake ticks an awful lot of boxes! 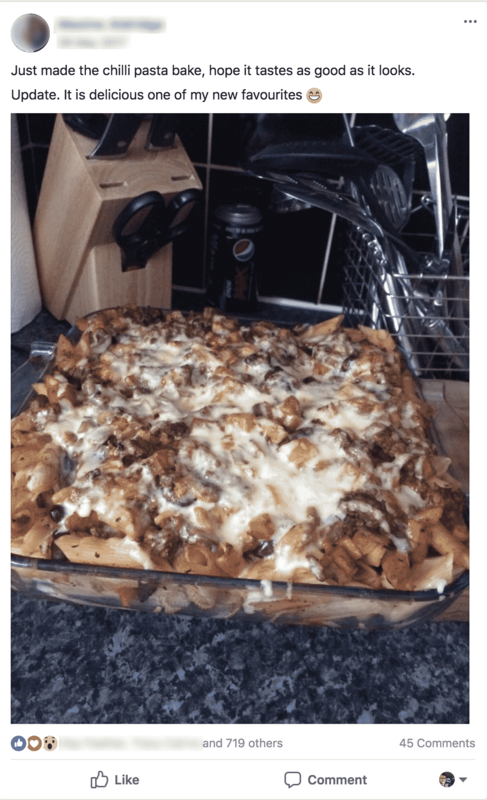 One of our Facebook group members made out Syn Free Chilli Pasta Bake and loved it! You can add as much or as little chilli as you like, depending on your personal preferences. You can even use the cheese as part of your Healthy Extra allowance, for a deliciously cheesy topping! Nom…melted cheese…another box ticked for me! 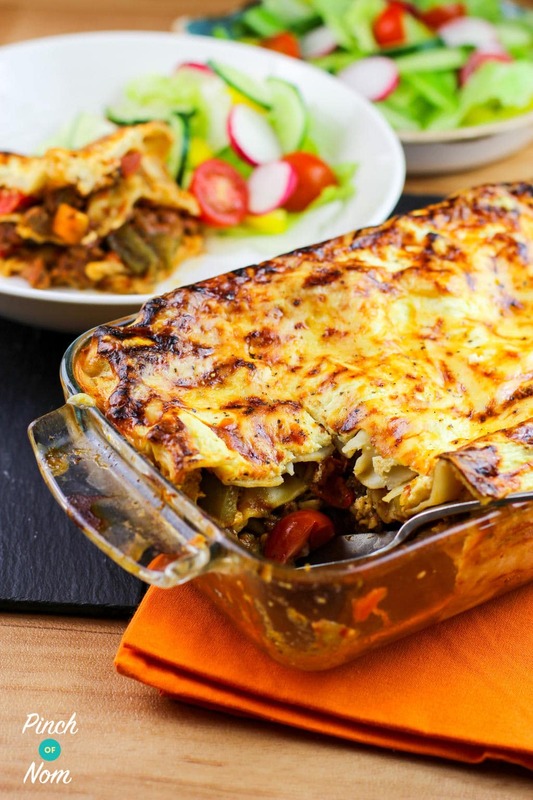 A collection of the Top Slimming World Mince Recipes just wouldn’t be complete without our Syn Free Lasagne! This is another really satisfying dish, full of flavour but Syn Free and super tasty. It combines a rich bolognese sauce with pasta and cheese for a little taste of Italy. It can also be packed with Speed veg, so it’s great when you’re on the Slimming World Extra Easy plan. 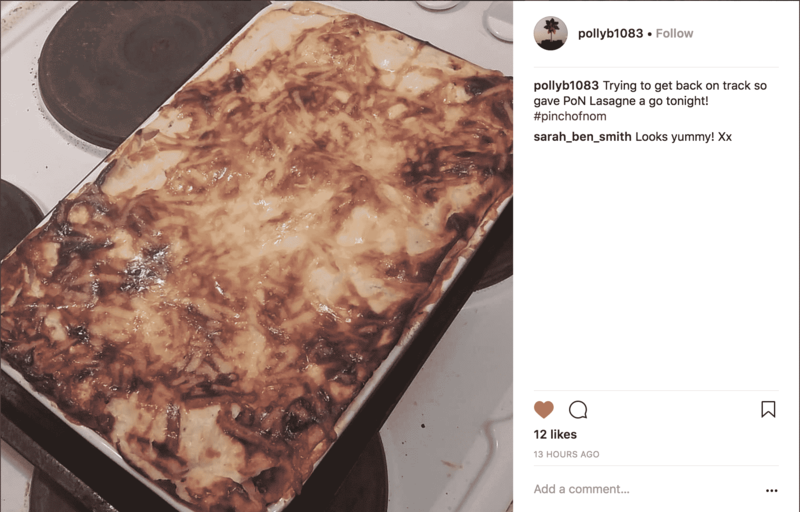 One of our Instagram followers @pollyb1083 made our Syn Free Lasagne and loved it! Our Syn Free Lasagne can be prepared and cooked in under an hour, so it’s a great option for a family meal. It can also be frozen, so it’s easy to prepare in advance and freeze until you need it. Cottage Pie is one of those recipes that takes me back to my childhood. Delicious, rich savoury mince, with a fluffy mashed potato topping. 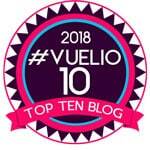 It just had to be included on our round up of Top Slimming World Mince Recipes. If you didn’t want to use potato as a topping for this pie, you could even use mashed swede and carrot instead. This would make it perfect on an SP day, too! 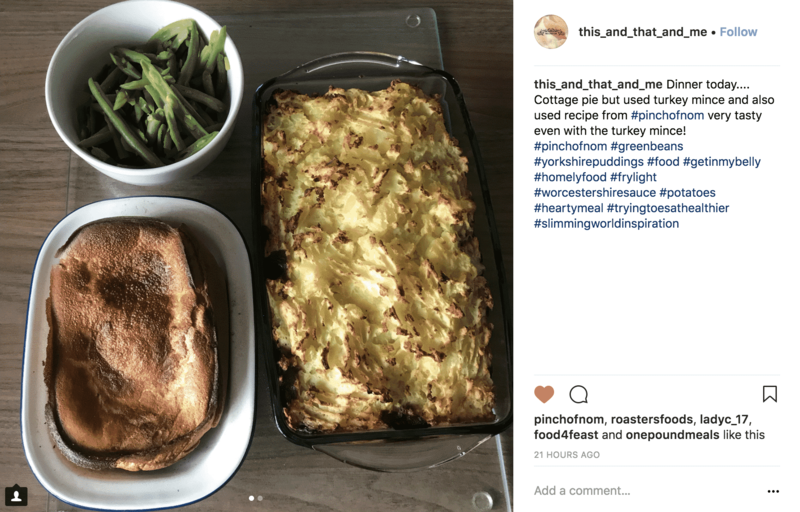 One of our Instagram followers @this_and_that_and_me made our Syn Free Cottage Pie and loved it! 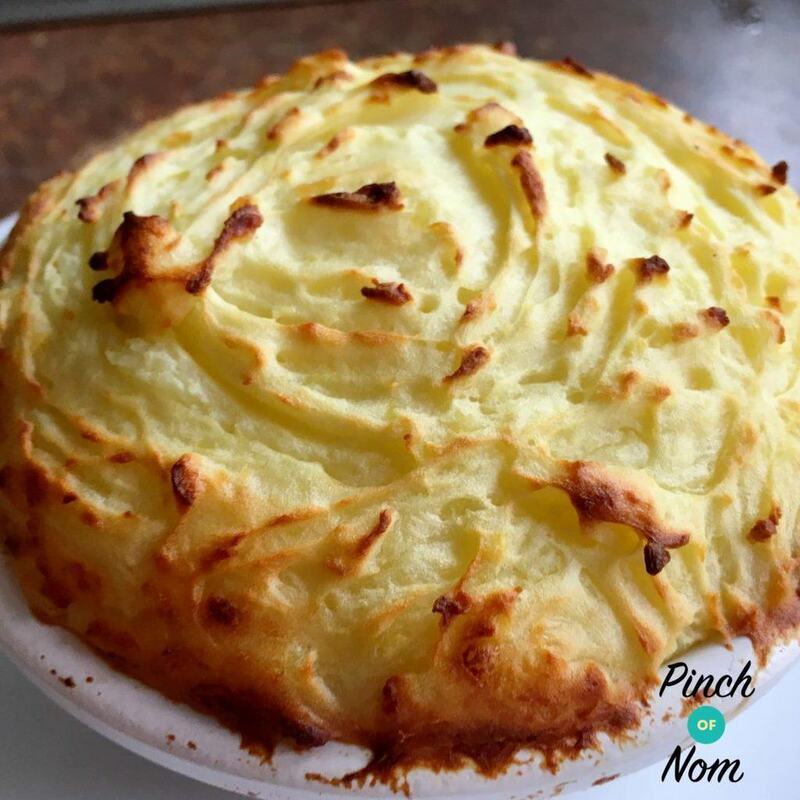 This Syn Free Cottage Pie can be made ahead of time and either kept in the fridge and cooked the next day, or frozen, and defrosted when you fancy Cottage Pie for dinner! 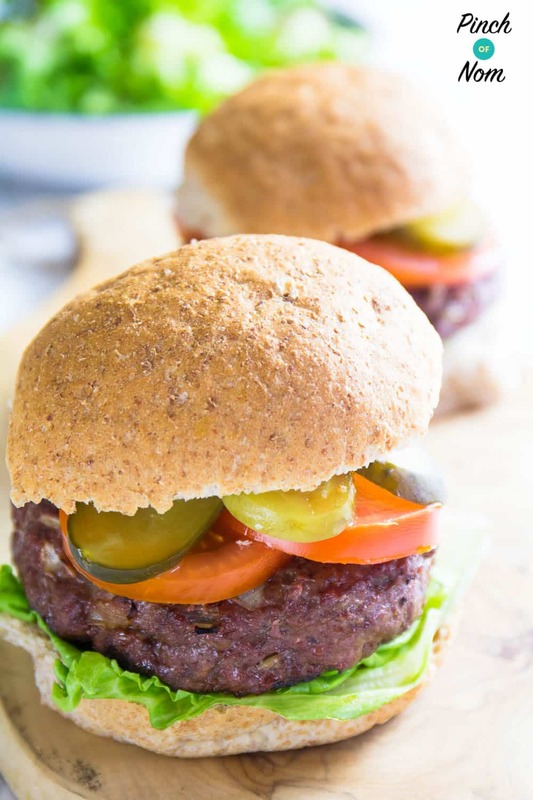 Homemade burgers are the best, so we’ve added these Syn Free Stuffed Burgers to our Top Slimming World Mince Recipes! Making your own burgers is a great way to keep the Syns to an absolute minimum, as you can choose exactly what to put in them! Shop bought burgers often contain rusk as a filler, to bulk out/bind the ingredients. There’s no need to add anything other than the 5% mince, (you can use beef or pork!) some onion, and some seasoning. These Syn Free Stuffed Burgers have a yummy cheesy filling. These are great for everyone to enjoy, the whole family can tuck in. 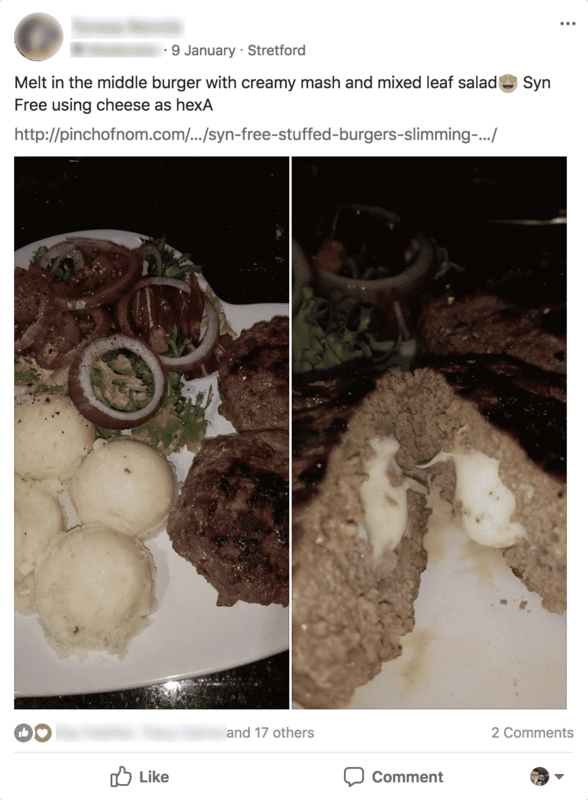 One of our Facebook group members made our Syn Free Stuffed Burgers, don’t they look good?! They’d be amazing served with our Syn Free Dirty Fries, too! Mmmm, I’m drooling at the thought. A good Bolognese is great to eat, but sometimes I just don’t fancy spaghetti served with it. Our Syn Free Pasta Bolognese will solve that problem! 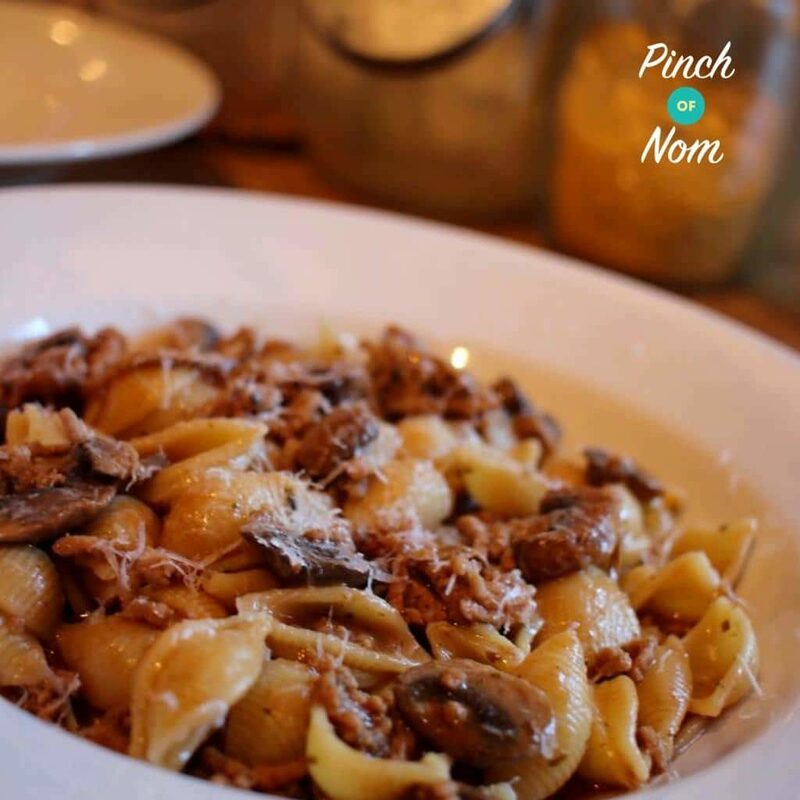 Imagine the best bolognese flavours, mixed with pasta and topped with cheese. Now bake it in the oven so that the cheese melts and goes golden brown. Nom! 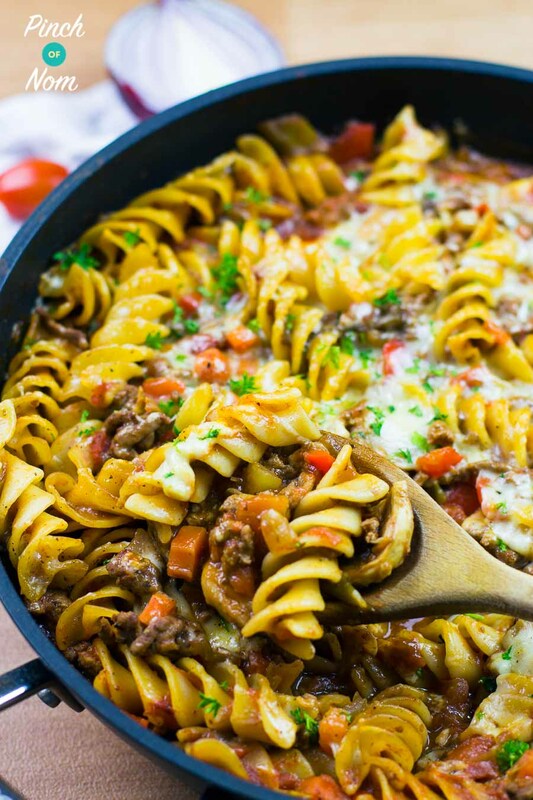 This is a really tasty way to use beef or pork mince and adding the pasta makes it go miles further! You can bulk this dish out with Speed Vegetables too, making it really economical. 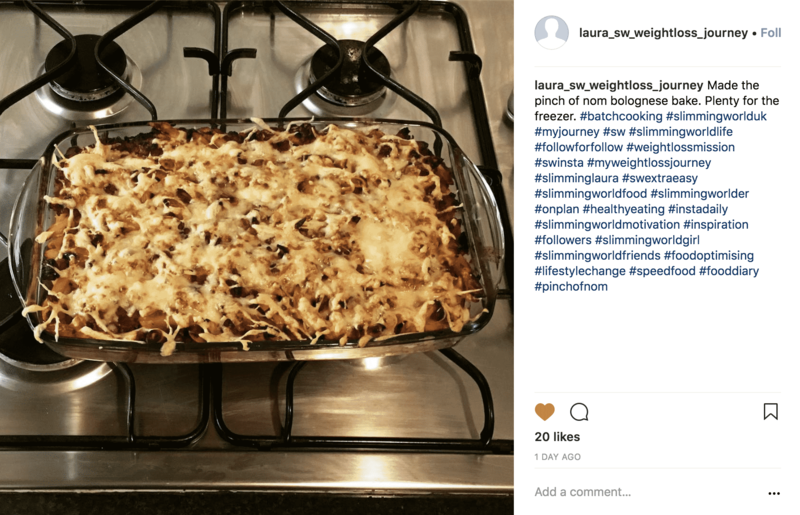 One of our Instagram followers @laura_sw_weightloss_journey made our Syn Free Pasta Bolognese Bake and loved it! This recipe reheats really well, so any leftovers would be fine for a quick meal the following day. This Low Syn Farfalloni Con Funghi is a super tasty meal that’s suitable for the whole family. It’s a regular favourite in our house and it freezes well too! 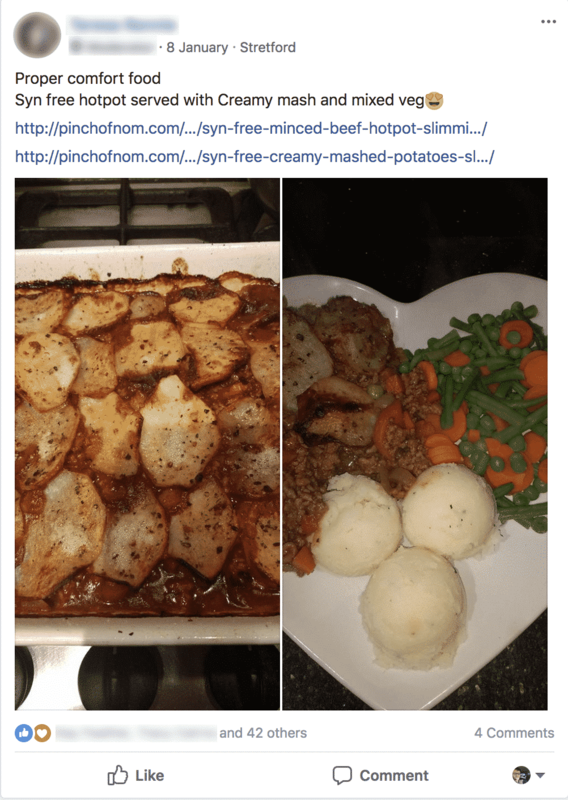 It’s incredibly popular with members of our Facebook Group, so we thought we should add it to the list of Top Slimming World Mince Recipes. 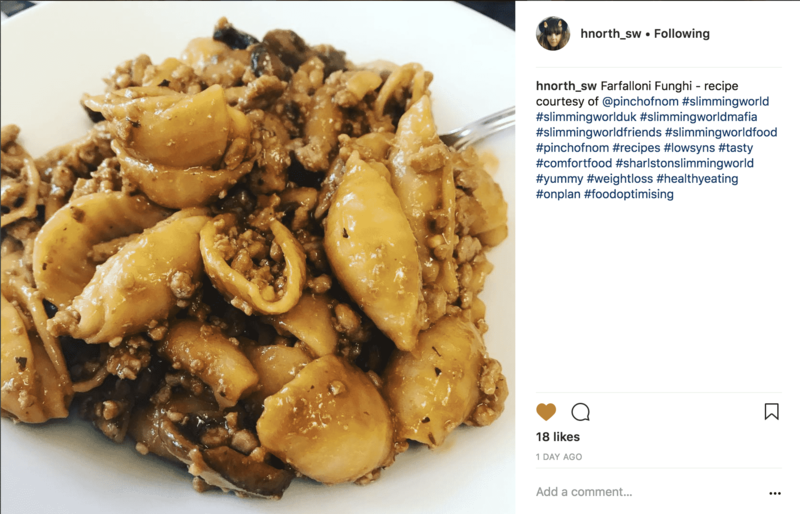 One of our Instagram followers @hnorth_sw made our Low Syn Farfalloni Con Funghi and loved it! Pork mince is a very economical meat, so this is a great budget friendly recipe. Once again, you can add lots of extra speed veg to make this go even further! Low Syn Farfalloni Con Funghi is another recipe that freezes well and leftovers are easy to reheat for a quick lunch, too! Fantastic recepies im fussy and dont eat cheese but i do my own peppers stuffed with chilli mince and they are syn free. Thanks for getting in touch, glad you’re enjoying the recipes! Does the book have pictures of the end result ?